Along the Lewis River! I found and scanned some older images from one of my favorite camping places from lifelong adventures with family, and am sharing them here for fun. The stories are in the captions which can be seen by clicking on the images and scrolling through them with the arrows. At the bottom of the page you will also find links for my three calendars currently available. Middle Falls on the Lewis River was a favorite place to hike to, fishing and gathering rocks. My daughter and I camped near here for 3 days in 2008 and enjoyed feeling the presence of Grandpa-Dad and Grandma-Mom. My daughter in our favorite old burned out tree stump from over 80 years ago. We made this for my Dad, Claude Black, who was the best Fisherman on the river, and always wanted to be buried up here someday. To see more information about my calendars including pics from inside all three calendars, click on this image! Cover for Old Barns and Buildings. Click to learn more about all three calendars. 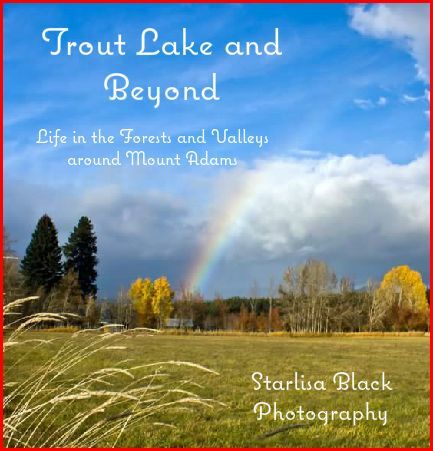 I also have several books for sale that make great presents as well, such as this Trout Lake and Beyond Coffee Table book. Click on this image to go to the Menu page for all books and calendars. 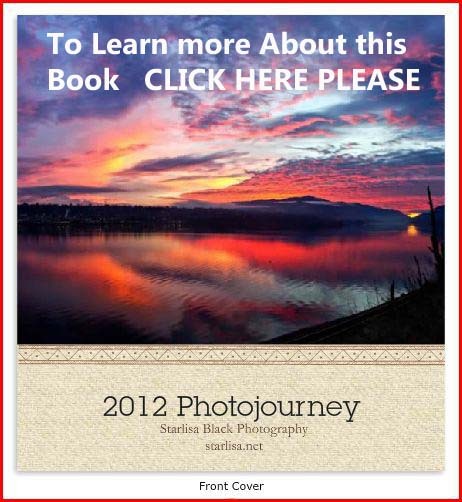 This entry was posted in calendar, family, Memories, photo books, Photo Sales, Photography, photojournalism and tagged "Starlisa Black Photography", 2014 calendar, calendars, memories, Photo, Photo books, Starlisa.